Last week Doug Wilson was passing through Singapore, and we managed to get him down to conduct training for us. 2) Angles – what we do works better at some angles and worse at others. Moving to the better angles is essential for safety. 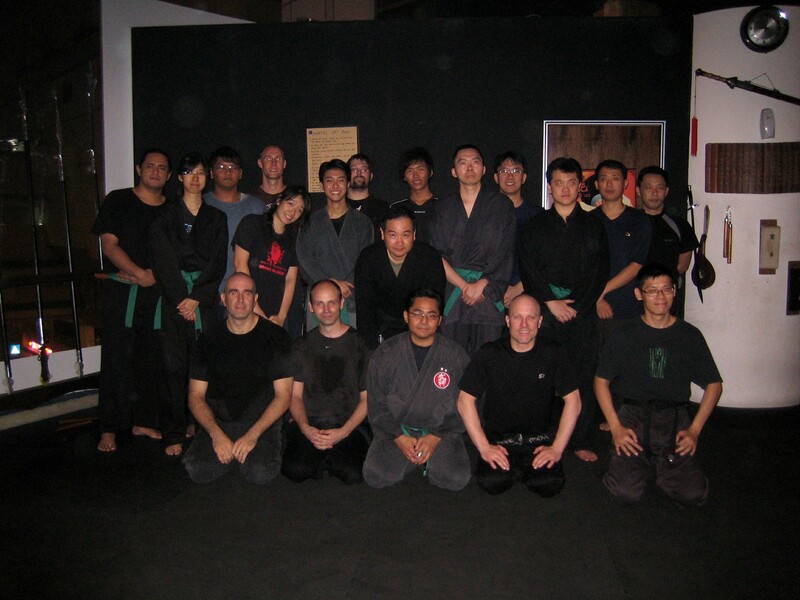 3) Distance – Hatsumi Soke calls Bujinkan Taijutsu the Martial Arts of Distance, which means that Distance is THE most important factor in getting things right. So we explored the Kihon Happo (OK, all of them except for Jumonji) in light of these three factors. Personally, what I remembered most about this session was not what was done, but the opportunity to train with someone from the other dojo. When training in my own dojo, my teacher hat gets stuck firmly on my head even though I seldom teach the class there. So I am constantly looking out for ways to help whoever I train with improve. But the session with Doug Wilson was good, not only because of what he shared, but also because I had determined that for that period how well the guys from Lion Dojo do was not my responsibility. I can’t keep sheltering them or handholding them forever. After some time they have to let their skills be evaluated and appraised by people from other dojo. And run the risk of being found wanting. I was going to just train, enjoy training and see what the students from Ryuko Dojo were like (I only visited them twice, and that was a few years ago). And that’s me, all the way at the right end of the front row. Later today will be the first class after Doug’s session. I wonder what’s going to come up? Let’s wait and see!